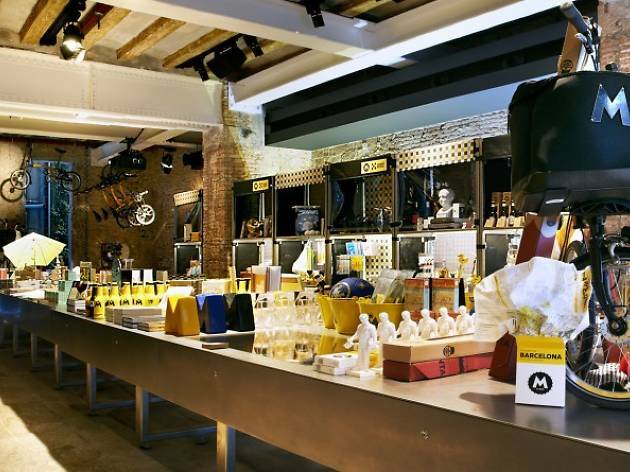 In the same building as the Fábrica Mortiz Barcelona, you'll find the M-Store, Moritz's own concept store. 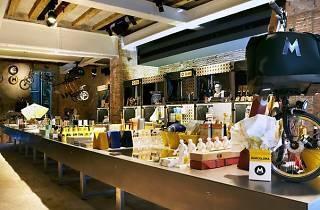 It's not a traditional shop, but rather a space filled with a lot of design and a theme that changes two or three times a year. Of course you'll find everything for the beer and wine aficionado (specialist books, mugs, gadgets) but also all sorts of pieces for collectors, a stationery section, a selection of books and another of music, and even T-shirts and slippers, among other items. You can also buy craft beer that's made at Moritz and Triticum bread, as they have an oven in the store itself, at the entrance next to the newsstand, where you'll find national and international periodicals dedicated to fashion, culture, desig, architecture, music and more.